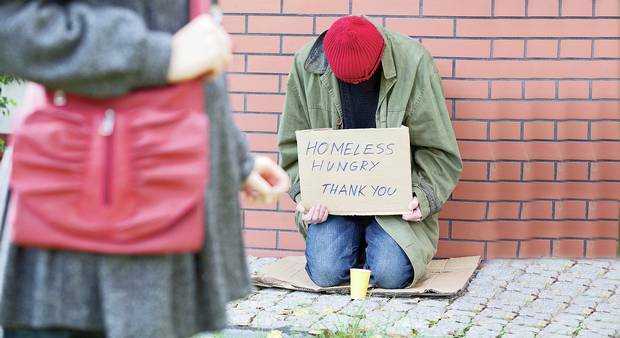 JNN 27 June 2015 London: England’s homelessness crisis has reached its worst levels since 2008, with 65,000 households forced into temporary accommodation, new figures reveal. The number of families housed in bed and breakfasts has soared by more than 300 percent over the past five years, according to government data. Campaigners blame high rents and welfare cuts for forcing 100,000 children to live in hostels and other temporary accommodation. In the first quarter of this year alone, 13,520 households were made homeless across England – an 8-percent increase on the same period in 2014. Official data published on Wednesday by the Department for Communities and Local Government revealed England’s housing crisis is having a disastrous impact on households. Over the past five years, the number of families living in “other private sector accommodation” – which can include single-room annexes and even caravans – has risen 267 percent to 15,460. Minorities constitute more than half of those forced into temporary accommodation, with 55 percent coming from black, minority and ethnic (BME) communities. Some 44 percent of families affected include single mothers, while 24 percent are couples with dependent children. Nearly a third of people were found to have lost their homes when their short hold tenancy ran out. Housing charity Shelter said families, who are placed in bed and breakfasts by local councils after losing their home, experience accommodation which is unsuitable for their needs. Parents and children often live in a single room, sharing kitchens and bathrooms with other tenants. The bed and breakfasts could be miles from their jobs, schools and support networks. Local councils are forced to place vulnerable families in such accommodation after decades of sparse investment in Britain’s council housing. The Conservative policy of “right to buy” – first introduced under Prime Minister Margaret Thatcher in 1980 – enabled tenants in council houses to buy their properties. The policy has since led to a social housing shortage in many areas. Charities also blame high rents and welfare caps for the crisis. Crisis Chief Executive Jon Sparkes said: “Clearly something is going badly wrong with our private rented sector. “More and more households are struggling to pay their rent in an increasingly insecure market, while cuts to housing benefit have left the safety net in tatters. For anyone finding themselves in difficulty, the prospects are decidedly bleak. “England is sleepwalking into a homelessness crisis, and we’ve yet to hear what our new government intends to do about it,” he added. Sparkes called on the government to find “radical solutions” to confront the shortage of affordable homes and fix the “broken” private rental sector. “At the same time, we must have a safety net that genuinely protects tenants struggling to make ends meet,” he said. The assistant director of communications and campaigns said: “Successive governments have failed to build enough homes for decades, and this is the result. Housing associations want to build the homes these people and this country need. A spokesman for the Department for Communities and Local Government said the government is taking action to ensure all homeless people have access to the help they need to get back on their feet. “Since 2010, we have increased spending to prevent homelessness, making over £500 million available to local authorities and the voluntary sector to support the most vulnerable in society and put strong protections in place to guard people against the threat of homelessness. “This is to ensure there is no return to the days 10 years ago, when homelessness in England was nearly double what it is today,” he added. This entry was posted in Jafria and tagged Department for Communities and Local Government, England, homelessness crisis, temporary accommodation. Bookmark the permalink.